I don’t know if these are interesting to anyone else, but I thought I would put them up just in case 🙂 Each wordle shows the dominating words used within each category. Too many wordles? Ok ok I’ll stop…. I have been going through my data over the last month, and while I’m not where I want to be just yet, I thought I would blog as a bit of a checkpoint…get something out there so I can review and ensure I’m on the right track. I do not have any numbers just yet, at this point it’s solely a qualitative review. Extent: province, city, town, etc. 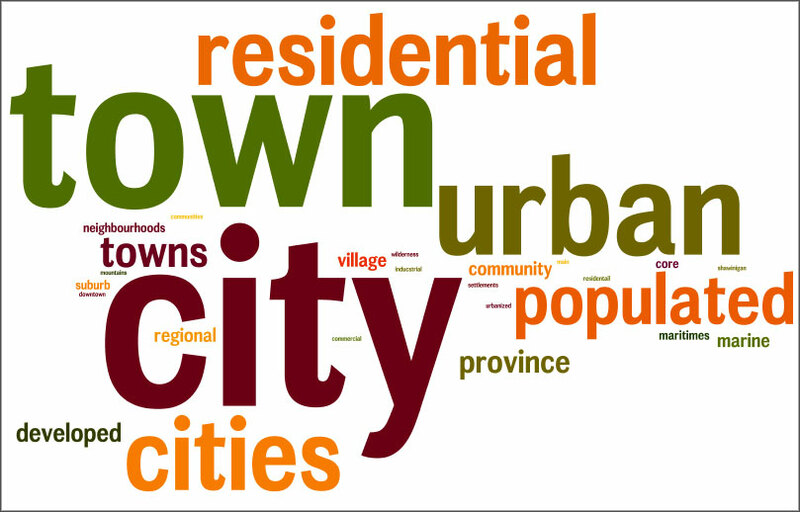 Community: neighbourhood, industrial, residential etc. Landmass: inlet, island, shoreline etc. 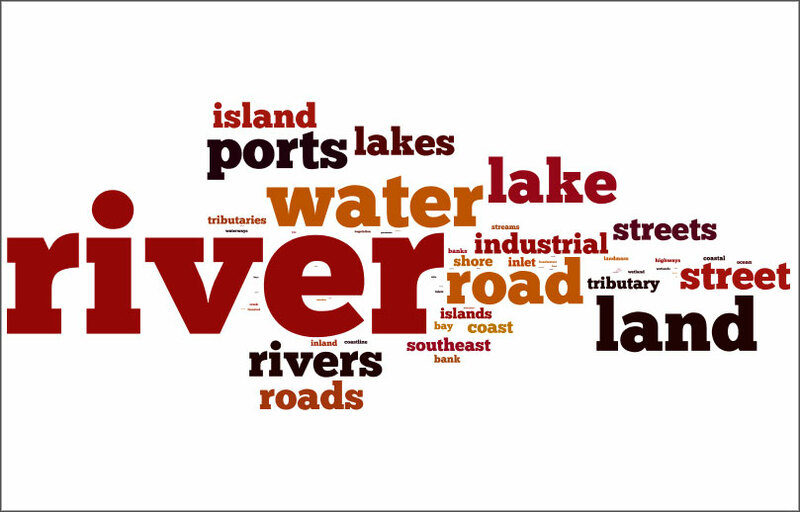 Water Body: lake, river, estuary etc. Topography: mountain, hill, vegetation etc. Road: road, street, highway etc. Relative: left, right, up, down etc. Miscellaneous: running, tip, flowing, crossing etc. 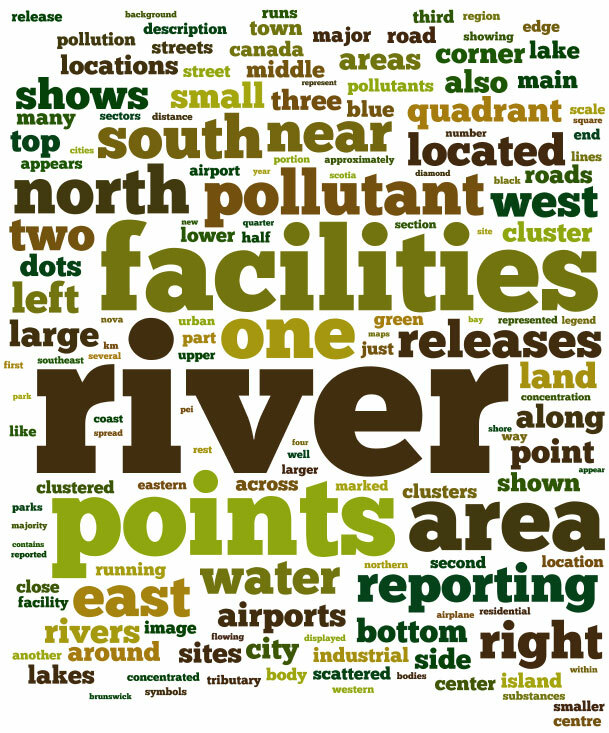 Specific: polluting sites, facilities etc. Literal: circle, square, diamond etc. Implied: jagged, smile-shaped, meandering etc. 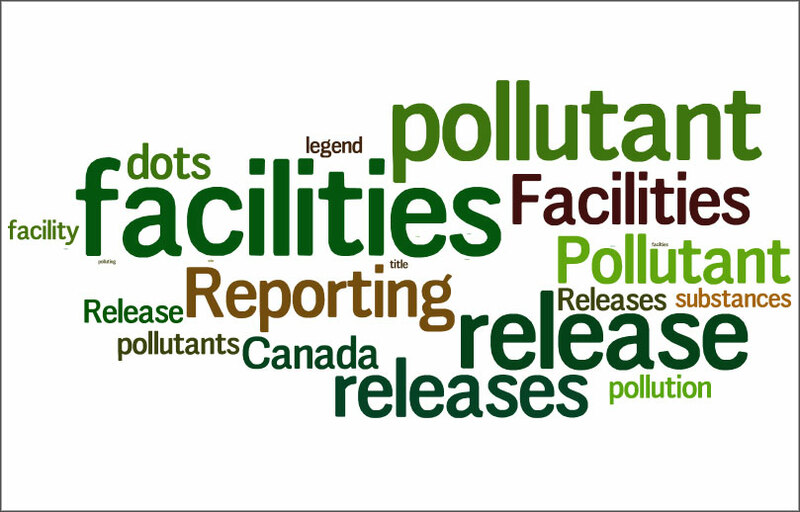 Facilities Reporting Pollutant Releases, 2008, Substances etc. 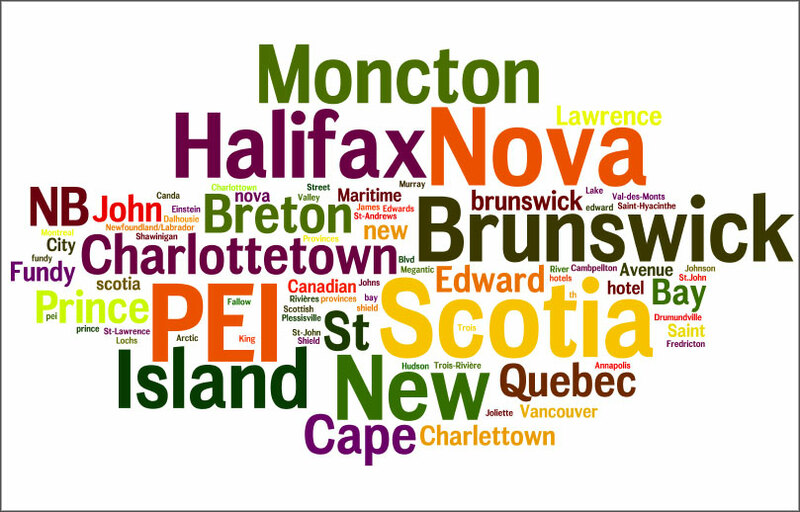 Montreal, St. John, Charlottetown etc. Some of these categories may seem related or overlapping, yet as analysis is continued they will be further refined and separated out, which will result in a clearer definition of each. 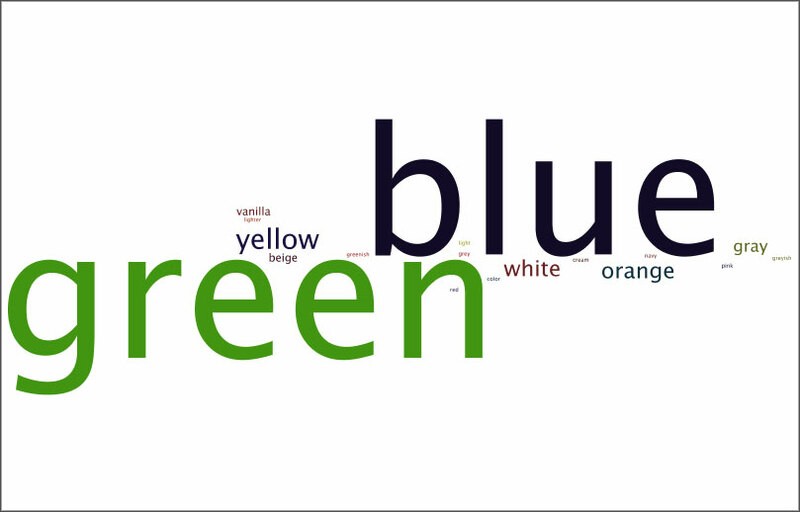 In order to fit the words properly into each category, the context was taken into account, which means one word could have been coded into more than one category. 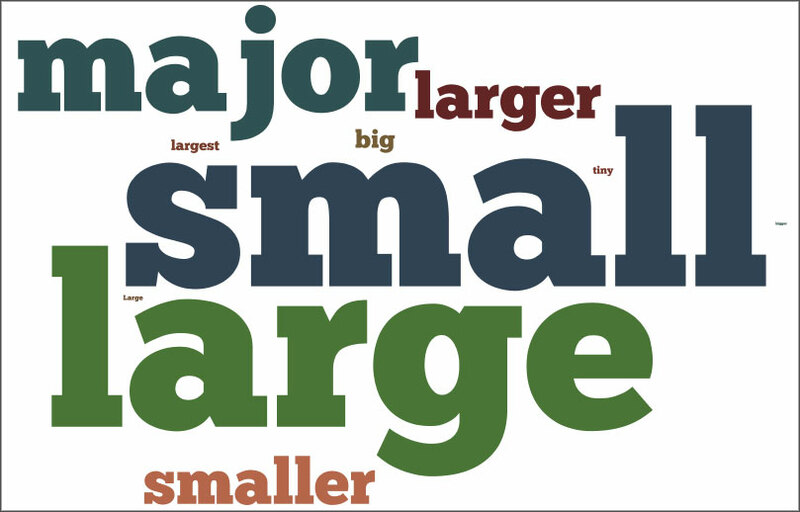 The important part here is not how many words were found under each category, as that is basically just showing vocabulary size. It is important to understand how often each category is used amongst the descriptions, currently Jurisdiction, Direction, and Shape are used in almost every description. Yet this is not a very stable result as various factors still need to be taken into account, which will be summarized at the end of this post. So what is the theory behind these categories? 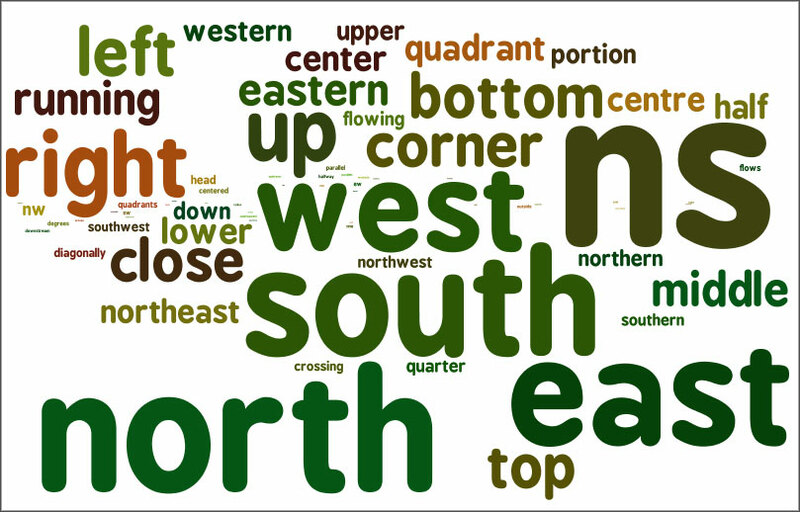 The use and consideration of these concepts is imperative in order to create a meaningful map description. From the data generated by this study, there was no “silver bullet” description. 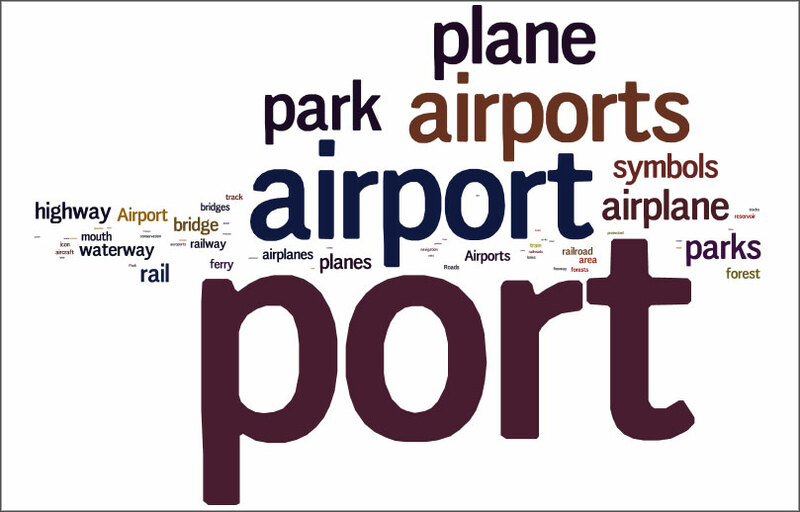 These categories will be used as the concepts which influence the design of a meaningful map description. 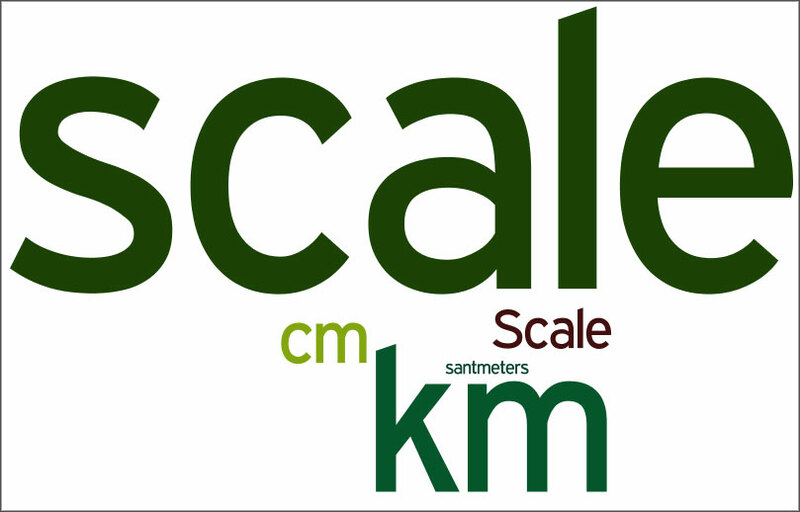 They take into account both explicit (query data, distance) factors that can be extracted from the map data and also implicit (shape, direction) factors that are traditionally only available through the visual interpretation of a map. 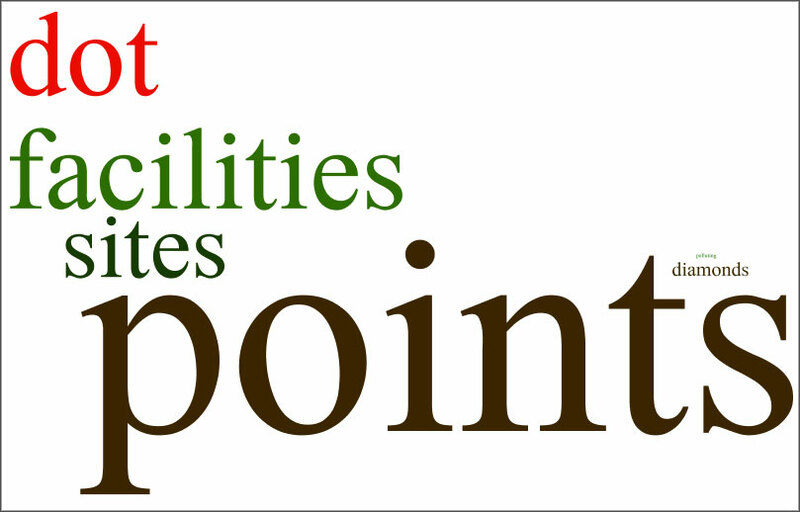 Test descriptions will be created and then reviewed within the visually impaired community in order to assess the relevance of the categories. It will allow us to better refine and rank the categories, as some may be more useful to blind people (i.e. direction) than others (i.e. colour). Also, once we then take into account the purpose (why the user is coming to view the map in the first place) of the description, we can then tailor the description used in order to better suit the user. This will result in modified categories depending on the purpose. *This part is most likely out of scope for my research. Factors that still need to be taken into account in order to further refine the categories are how the dominating categories change as extents change. When dealing with a map of a city, are certain categories more imperative as opposed to those used when describing a province-wide map? 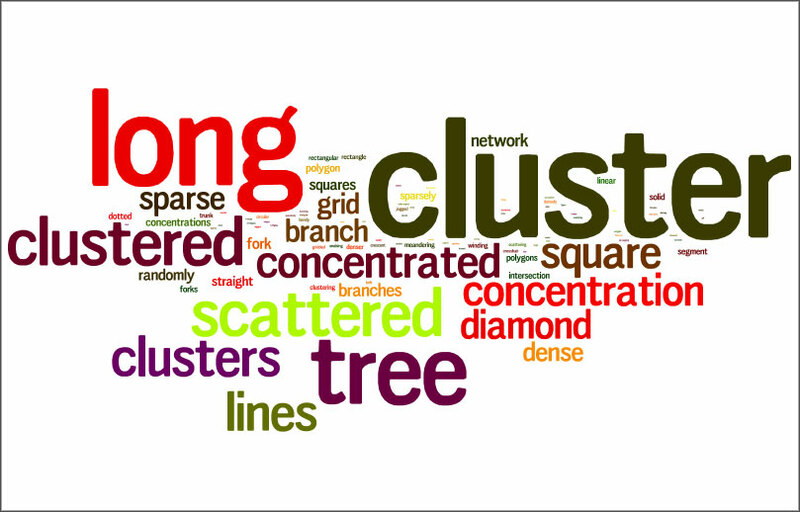 Also, these categories are based on single words and their context. There is something to be found in sentence structure in the map descriptions. 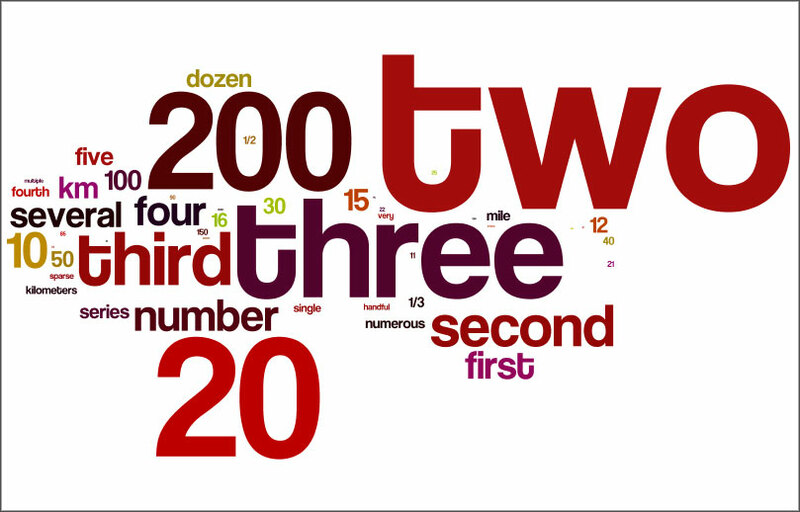 Some take a very factual approach, which could be comparable to the results you would receive from a text-based search. Others are quite poetic, using words that seem to convey the movement and dare it be said – the beauty of maps. Just a little visual delight to tide you over until I have my results in. The data is rudimentary, but still fun to see. The good news is over 100 people participated in my study, which resulted in over 300 map descriptions, and they are still accumulating! The bad news is over 100 people participated in my study, which resulted in over 300 map descriptions, and now I have to sort and analyze the data. That’s what I’m doing now, and although it is a daunting task I am finding it fascinating. The design of this study entailed alot of planning and discussion (thanks Greg and Jon). To finally see the results of something you have worked on for so long and feel connected to is pretty rewarding. There’s alot of data to get through but it’s been fun so far (although I have just started). I know not everyone else is as invested in my topic, but I find myself wanting to tell somebody whenever I come across something interesting, or validating, or curious, or…well I just want to tell people about everything 🙂 I am looking forward to generating my results, so I can actually do just that, and see what the web accessibility community thinks. So this post was just an update really, to whoever follows, to let you know where I’m at. I’ve given myself about a month to establish results.